Failure is Not So Foul | All Around Dogs Failure is Not So Foul | Thoughts on training and life with dogs. 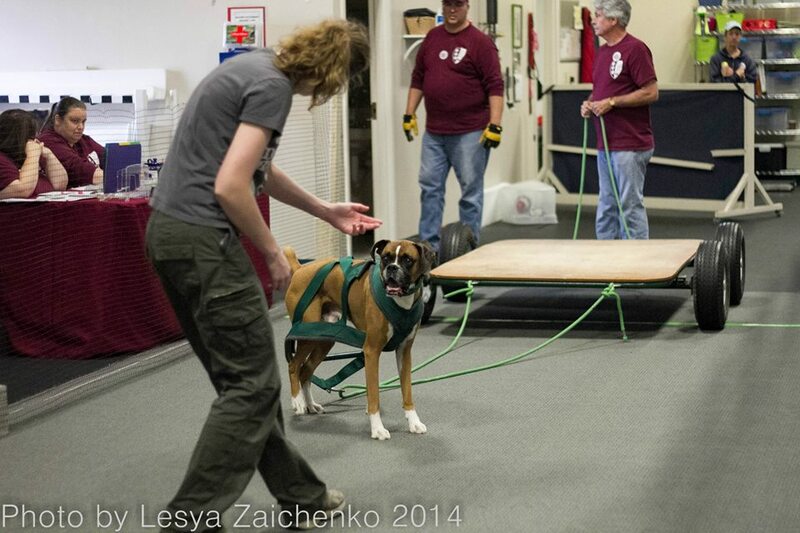 I’ve been absorbing the results of Dash’s first-ever weight pull trial, held by UDSNNE at Finish Forward Dogs. As the title may have given away, it did not go as well as I had hoped. Given the recent challenges we had in training, I did not expect to qualify. I hoped, there is an eternal optimist in my brain that always hopes for the best, but my realist side knew that any successful repetitions would be a big win. As I said in my previous post and to fellow competitors before the trial began – my only goal was teamwork. We started with the empty 200lb cart, starting light with the hope that some easy success would help him try in later rounds. Unfortunately, there were no later rounds. I used both fouls on that empty cart. Each time I gave him about 45 seconds out of the allowed minute to pull. I encouraged and cajoled, but to no avail. When I saw that he wasn’t going to do it on his own, I gave him the help he needed to pull and be successful. After the first time, I was hoping we’d worked through the kinks enough for him to pull, but the second time was just as hard for him or nearly so. Trying to coax my boy into action. When I first started writing this, part of me wanted to doubt that Dash was my teammate, but I think that is coming from the disappointment of not completing a single pull. That’s unfair. The differences between class and trial were hard for him. He did have some moments of effort on his own and a classmate noted that he got to work as soon as I touched him. I know that I made an effort to be Dash’s teammate, trying to balance my help with the room to work things out on his own. After we fouled out, I spent some time just “being” with him in the car. So what did I learn? I am getting better at failing. A funny thing to say, but NQs are getting more comfortable for me. I’m less self-conscious when things go “wrong” in a trial situation. I am able to see the value and lessons of the experience more quickly. It isn’t easy, but it’s progress. Unfortunately since I began writing this post Dash has come up lame. He was a bit grumbly with Delta on Saturday afternoon, but I’d chalked that up to his long morning at the trial. He had looked stiff on Saturday evening but with no identifiable sore spot. This afternoon he got up from cuddling with me and was three legged. He’s toe-touching now, but still obviously uncomfortable. So, perhaps he was a better teammate than I realized because he gave me moments of effort when he may have been injured.